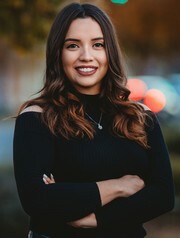 Karina was born in New Mexico and raised in Mexico, speaks Spanish fluently and is here to help you with your real estate transactions. Honesty and integrity along with determination and dedication are philosophies that Karina strives for in all aspects of her life. If you are planning on buying or selling in the Lea County area contact Karina Bonilla, your local neighborhood expert for a personalized customer care. Karina takes pride in servicing her clients by delivering exceptional service and establishing lifelong relationships.